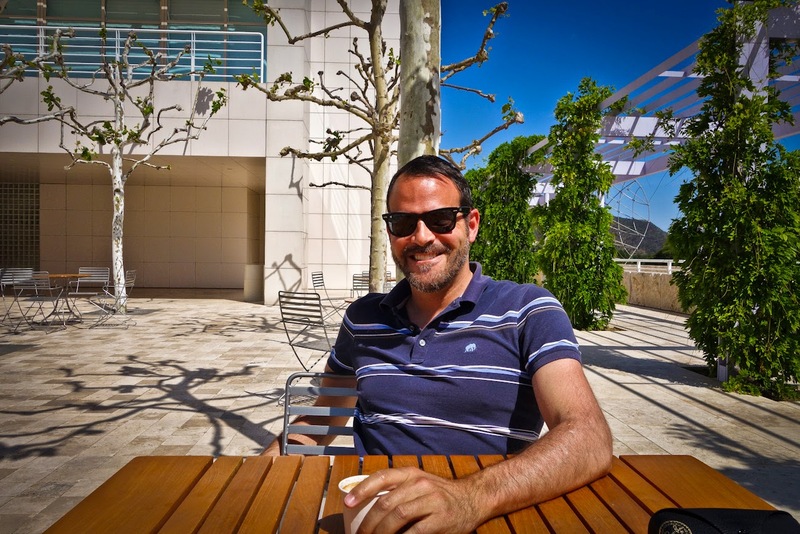 When I was recently back at the J. Paul Getty Museum, I had the opportunity for a quick coffee and catch up with my friend and Associate Curator of the Paintings Dept. at J. Paul Getty Museum, Scott Allan. Scott specializes in European, and particularly French, painting after 1800. Although he is wicked smart with a doctorate degree in both Philosophy and Art History from Princeton, he is also one of the most approachable, witty, sincere and genuinely kind persons I have met (well...he is Canadian so I guess it all makes sense eh?! ;) Because of his special line of work, he often is in Paris and I have been able to catch up with him a hand full of times since moving there. 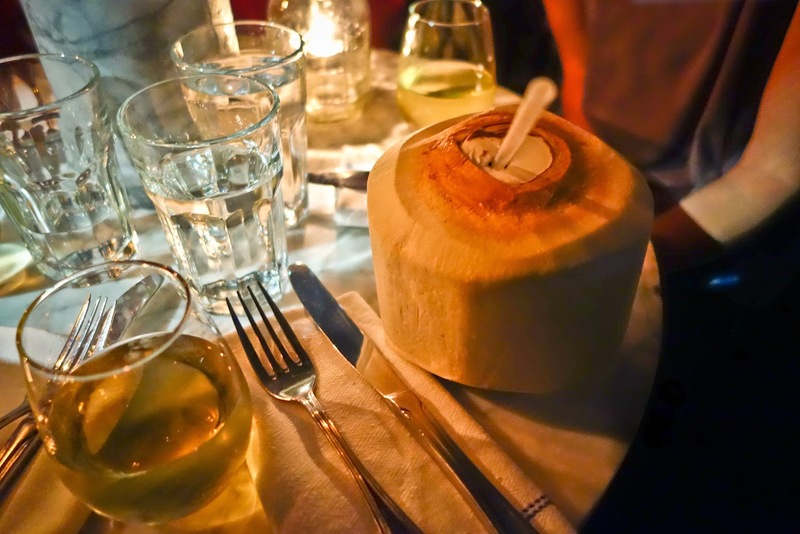 Although, one of my favorite memories of Scott was back in Venice Beach at my Cinco de Mayo farewell fiesta. At one point in the festivities I remember seeing Scott and another fellow Getty curator alternating between tequila and jell-o shots and I thought to myself, "man art curators really know how to have a good time!" So cheers to Scott Allan, one of the coolest curators I know! Santé! KG: What are you currently working on at the Getty? 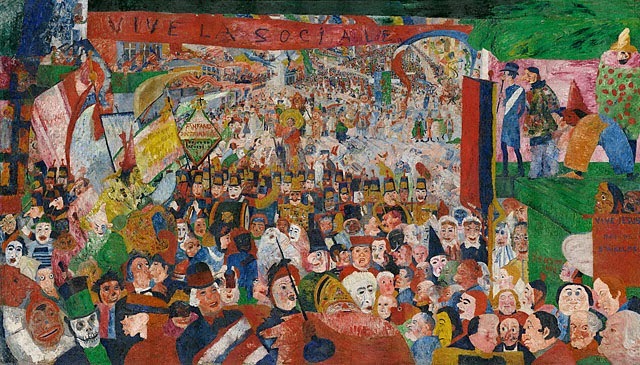 SA: We are doing a big James Ensor exhibition this summer. It is the big summer show here at the museum and we will be showcasing the Getty painting called Christ's Entry into Brussels in 1889 which is his master piece. We have had the painting here at the Getty since the 80's, but we haven’t had much context for it. A couple of years ago the Royal Museum in Antwerp closed and we had an opportunity to borrow basically their whole core collection of Ensor. It is the biggest collection in Europe and includes a lot of his early work which you can only see in Belgium. So, we are bringing it all here and we will be able to show the 10 years leading up to the Getty painting. We will be able to show how all the different strands of his art (political and social satire, unorthodox interpretation of biblical stories etc.) and how they converge and culminate to our Getty painting. We will be able to give it a chronological biographical context. There are going to be about a hundred objects in the show-paintings, drawing prints and a lot of this stuff is totally outrageous. There is a lot of bodily humor in his works. There are a lot of fart jokes, a lot of vomiting, and there is a lot of defecation. A lot of it is political and social satire and he is kind of eviscerating contemporary bourgeois Belgium society. It’s going to be some art that we haven’t really seen here at the Getty before. It’s not your traditional fine art, although the way he starts out is as a sort of a naturalist painter in the tradition of Courbet and Manet. He was very much in the avant-garde mainstream and then he kind of goes…off the deep end. He goes off into this eccentric direction. So we are going to show that development in the exhibition. 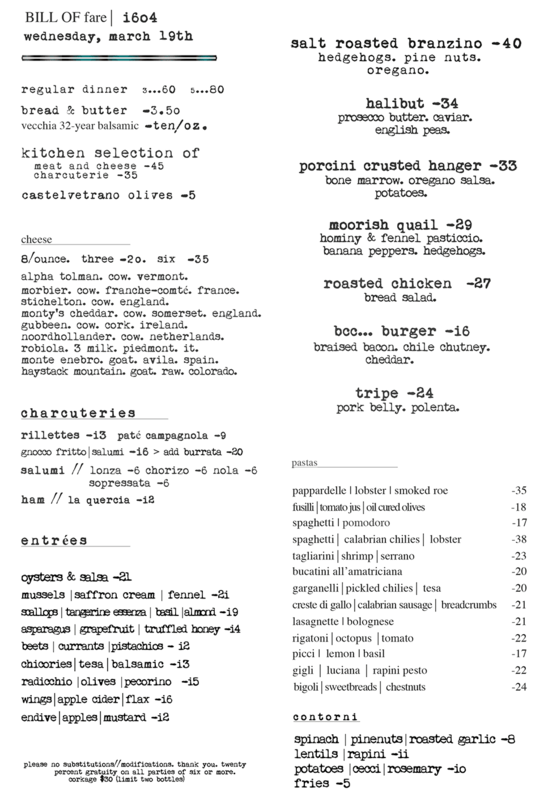 It’s going to be a really fun and I had a lot fun writing all the wall panels/labels. You can’t be too didactic and academic about some of this stuff when you have wizards on broomsticks farting in the air propelling themselves with their farts. KG: When is the exhibition on view? KG: When you are in Paris, what are your "must-do's"? SA: Well, my trips to Paris are usually work trips so I am kind of focused on art. During the day its museums, museums and…museums. Because I do 19th century French, automatically I go and see whatever is happening at the Musée d'Orsay. I also go through the French galleries at the Louvre on a regular basis and I think the first half of the 19th century is well represented in the Sully wing on the second floor. Those galleries are beautiful and I just love the permanent collection there. Sometimes I will go for just an hour and do a couple of galleries and leave because the place can be so overwhelming. I remember one time I went to the Louvre in the evening when the museum had its nocturnal hours, and went straight to the Poussin gallery. I was surrounded by all these amazing Poussin’s and it was the best 45 minutes. There are also oddball places like Musée de la Chasse et de la Nature which are really fun to visit. Or places like the Gustave Moreau Museum, I did my dissertation on Moreau. The museum is located by Boulevard Haussmann near the grands magasins. The museum is like this time capsule circa 1900. 10 years before Moreau died, he turned his house into a museum and he worked with an assistant on the arrangement of everything, he even designed this cool spiral staircase. 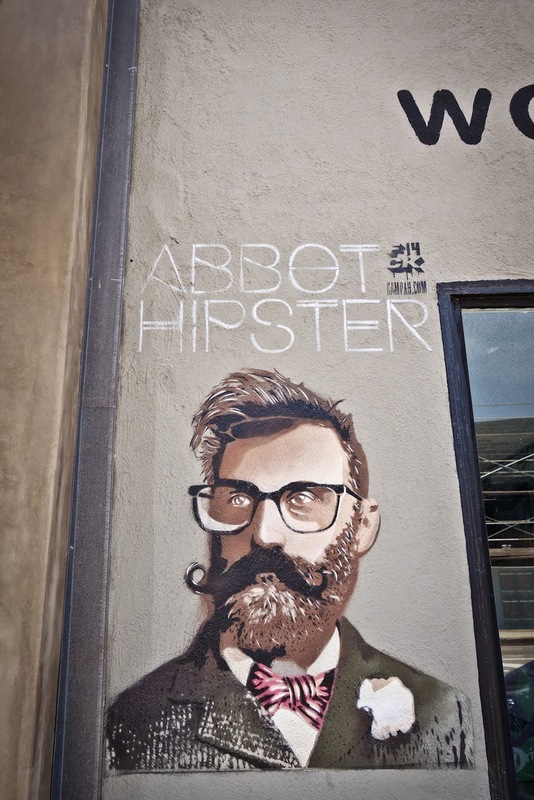 You can see thousands of works around everywhere and he was just a very bizarre painter. So, those are the cool little painter house museums that I like visiting too. The Rodin Museum is another good example. 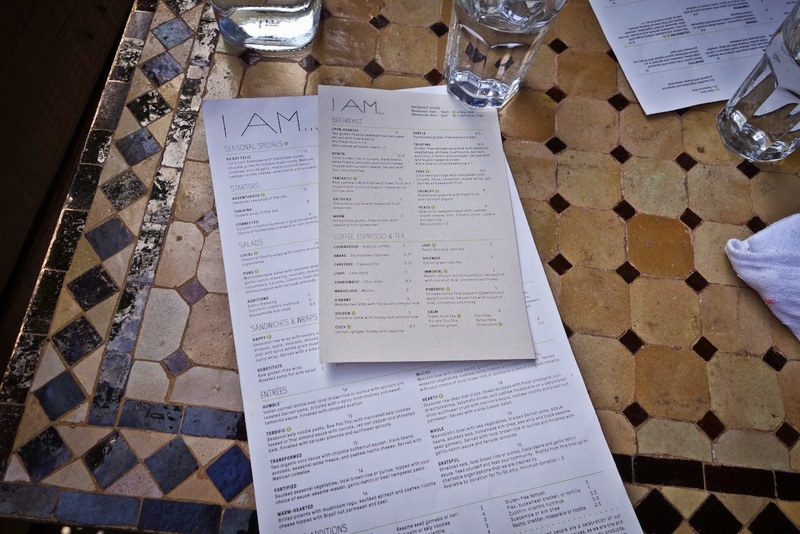 I obviously love to eat in Paris and there is one restaurant that I go to. I am sort of a creature of habit, so if there is one place I have a nice experience in, I like to go back. 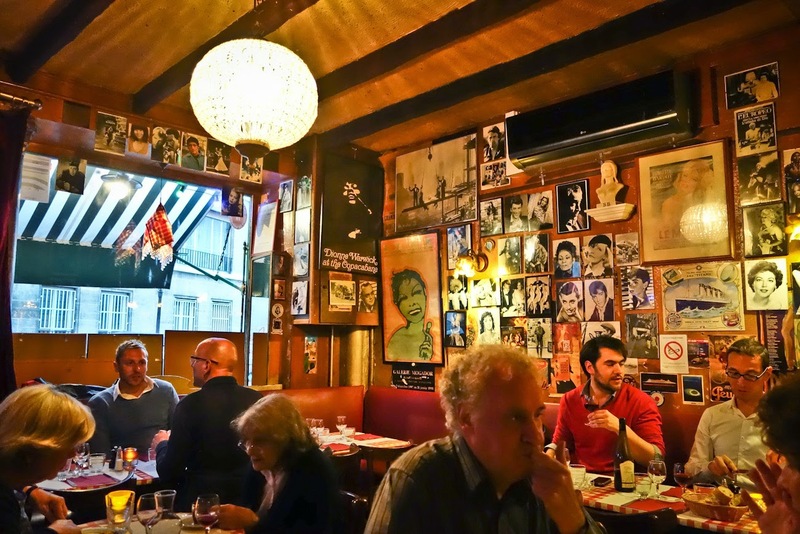 In the past ten trips back to Paris, there is this one restaurant that I always go back to as it is reliably excellent every time (and it’s very charming). 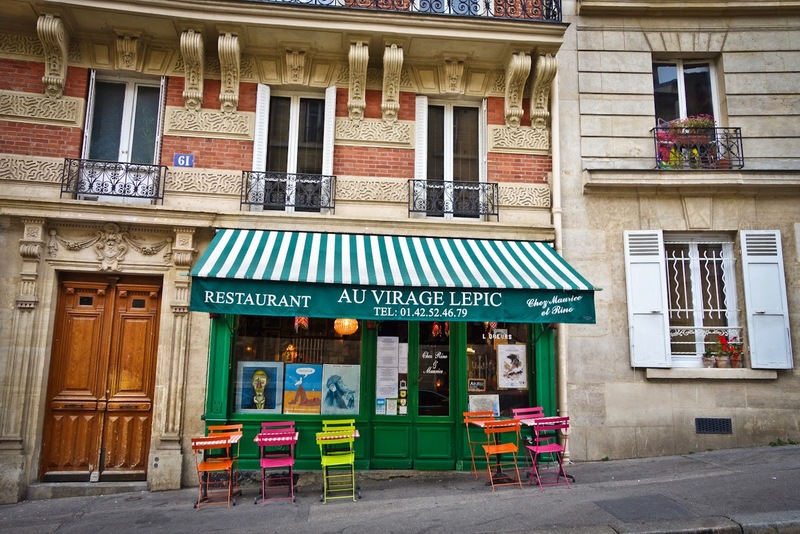 It is located up in Montmartre, and it is called Au Virage Lepic. 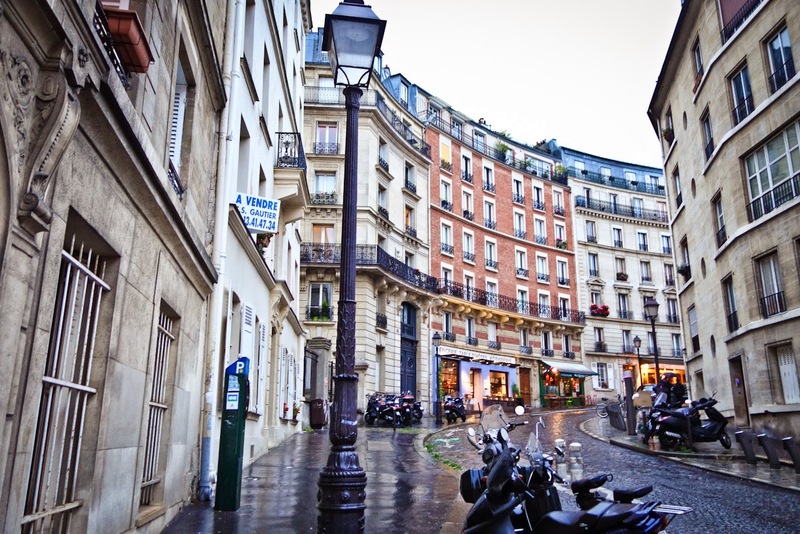 It is just north of Rue des Abbesses. Au Virage Lepic is on this little bend of Rue Lepic with little traffic so its tucked away in this quiet corner. Although, I think there are now fancy modern wine bars springing up around there so it’s a little less quiet these days. The food is traditional French but the décor is all 60’s American pop music. The walls are covered in Motown memorabilia and there always classic pop from the 60’s and early 70’s playing. The same guys have been running it for years and are very nice. 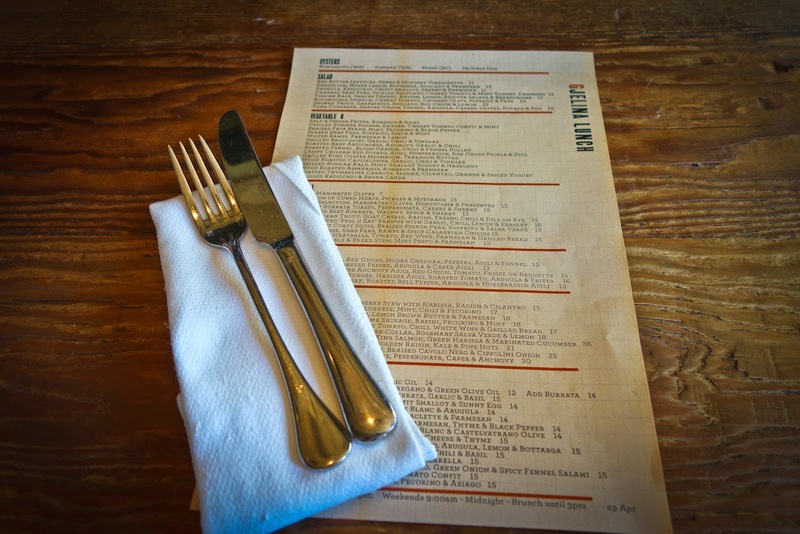 There are probably only 8 tables in the place so it’s always good to make a reservation. The meals are pretty economical. I always get the magret de canard with the foie gras and the little roast potatoes on the side are just about the most perfect little roast potatoes you have ever had in your life. 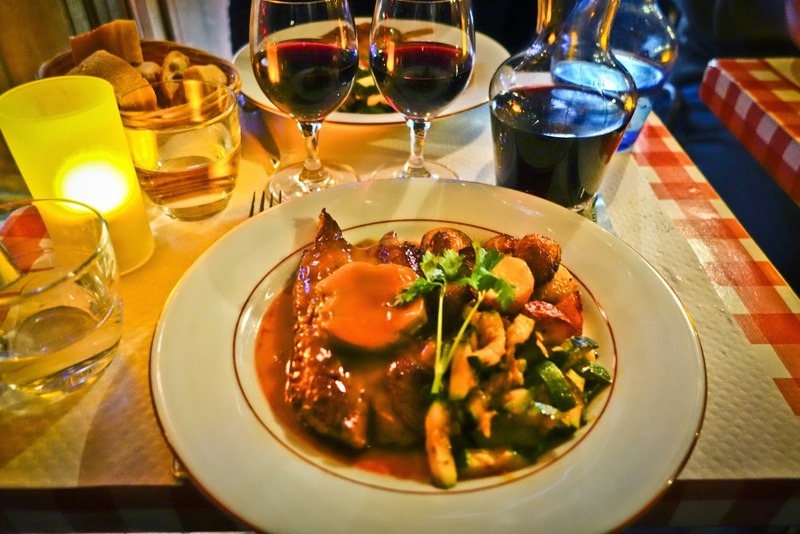 I usually start with an escargot dish and get a little pichet of vin rouge and whatever for desert (maybe a crème brulée or something like that). 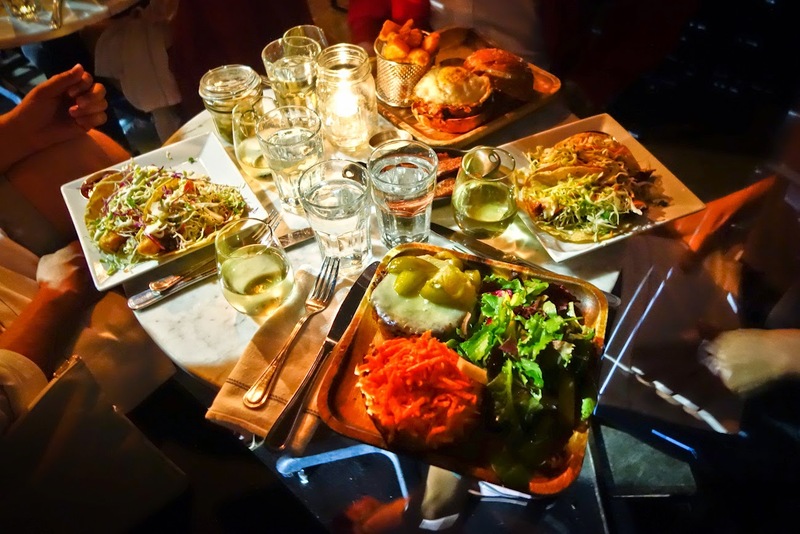 It is just a delightful dinner- and it is just so charming. I love meeting friends there. 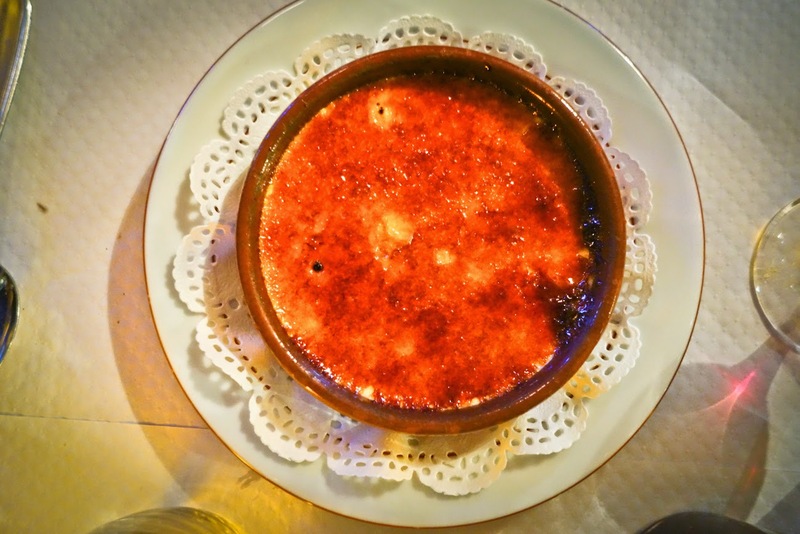 The almond crème brulée is devine! KG: Do you have a favorite neighborhood of Paris? SA: The very first time I went to Paris I stayed in a little crappy hostel up in Montmartre, so I like that part of town. 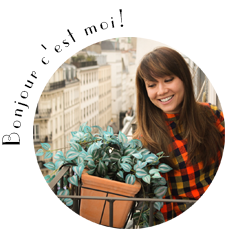 Since then I have stayed in different parts of Paris but there is something nice and pleasant about the hills of Montmartre, the stairways, the narrow streets, being above the city, walking up to Sacré Cœur and looking out over everything. It’s just a special and charming place. 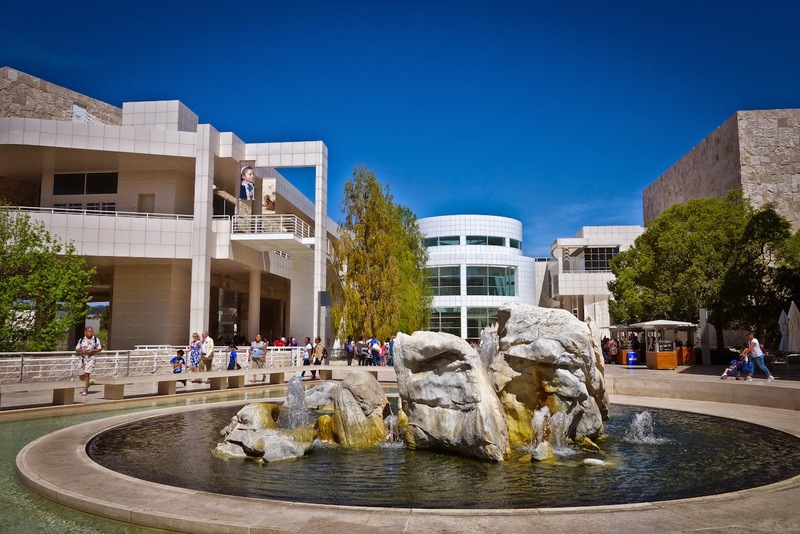 The Getty Center, located in Brentwood, Los Angeles is one of two locations of the J. Paul Getty museum and draws 1.3 million visitors annually (the Getty Villa is located in the Pacific Palisades in Los Angeles). 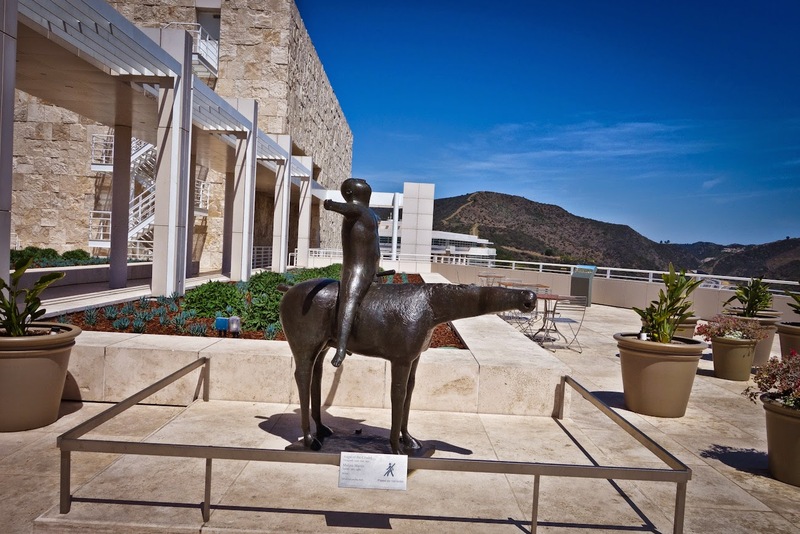 The Getty Center is a must-do when visiting Los Angeles. The collection itself features pre-20th century European paintings, drawings, illuminated manuscripts, decorative arts and photographs. Although the special exhibitions and permanent collection (which includes Vincent Van Gough’s Irises) are notable, the space of the museum itself will knock your socks off. In fact, it has impressed many Hollywood producers and you may recognize the Getty from movies such as Star Trek: Into Darkness (2013) or Thor (2011). 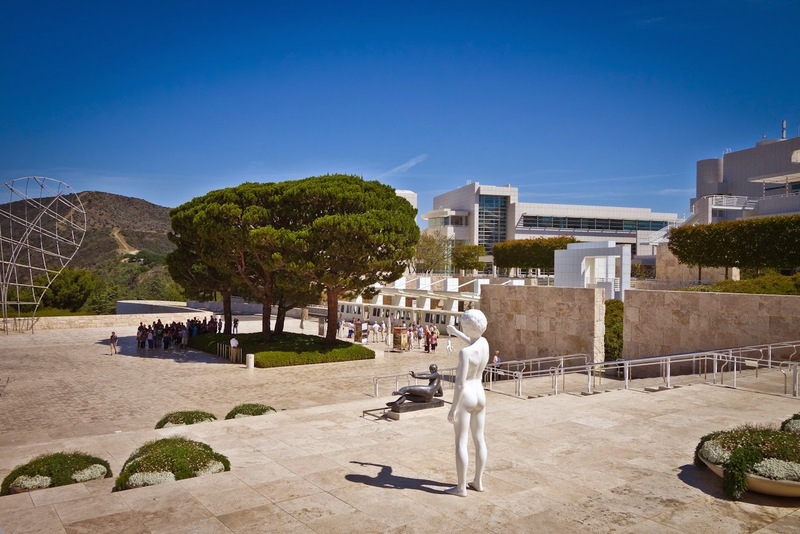 Designed by architect Richard Meier, the campus also houses the Getty Research Institute (GRI), the Getty Conservation Institute (GCI), the Getty Foundation, and the J. Paul Getty Trust. 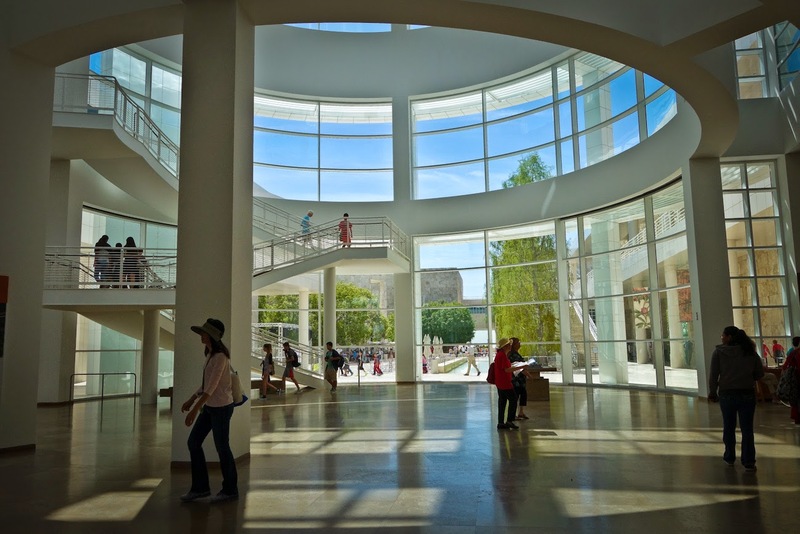 Richard Meier designed the Center to include special provisions to address concerns regarding earthquakes and fires (I experienced the later while working at the Getty and the building lay out, exit strategy, well trained staff and security is par excellence!). 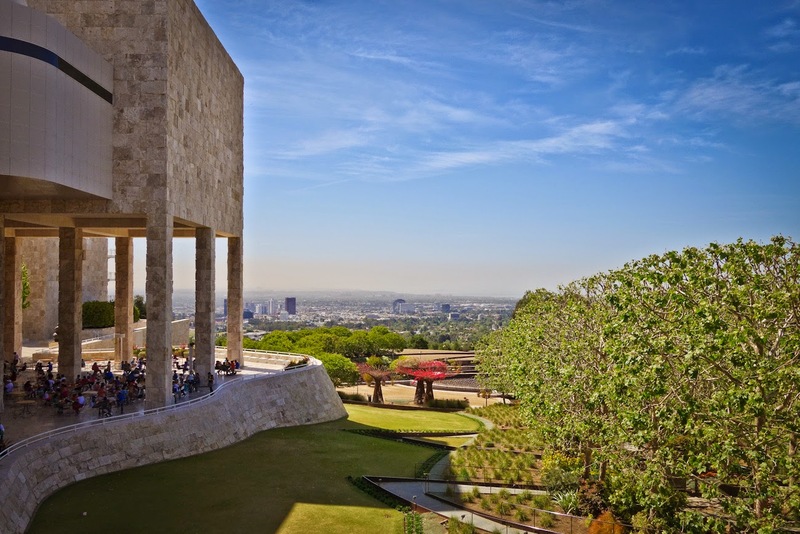 The Getty Center is open Tuesday-Friday and Sunday from 10:00 AM-5:30 PM. The best times to visit are in the mornings or early afternoons to avoid after-work commute Los Angeles traffic (yeeks!). On Saturdays the Museum is open until 9:00 pm. 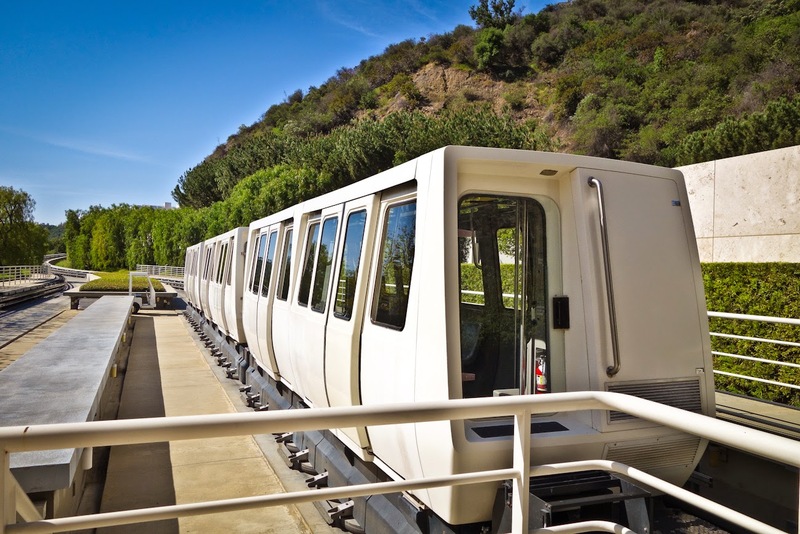 The Center sits atop a hill connected to a visitors' parking garage at the bottom of the hill by a three-car, cable-pulled hovertrain funicular. Parking is $15 per car or motorcycle and $10 after 5:00 pm. All parking is handled by self-service pay stations. When arriving take a ticket upon entering, park your car and bring your ticket to any of the parking pay stations. All pay stations accept credit card and many accept cash. Entry into the actual museum, including special exhibitions, is free. The tram will take you to the arrival plaza of the museum where you will be greeted by a visitor services agent who can kindly answer any question you may have. You will also be greeted by a giant stark white naked boy holding out a frog (Charles Ray "Boy with Frog"). Inside the rotunda entrance, there will be an information desk with someone to help you in case you have additional questions. You can also pick up an informational sheet of the days activities/whats on view. Across from the information desk is a station where you can borrow a free "Gettyguide" which acts as a multi-media audio guide for your visit (which also includes commentary from the Getty curators). Gettyguide's are translated in several languages. 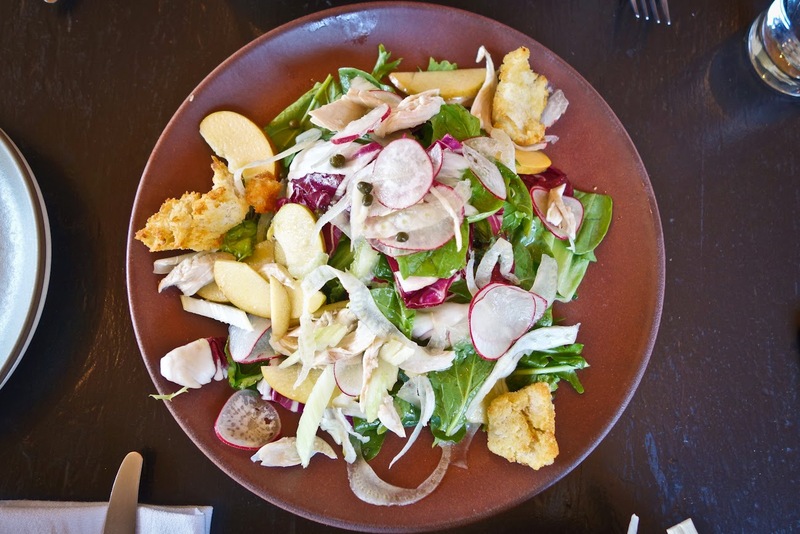 There are many locations to eat at the Getty Center including the Garden Terrace Cafe. 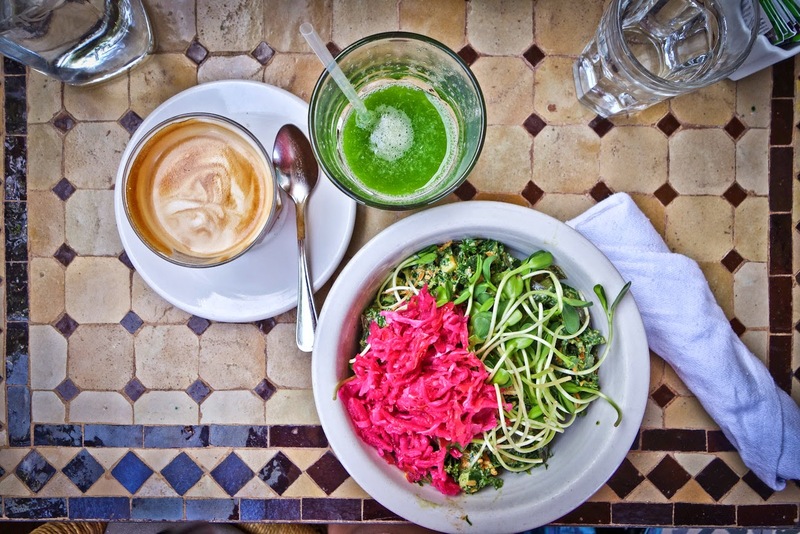 The smaller of the two cafes offers coffee, lunch, snacks and has outdoor seating over looking the Central Garden. 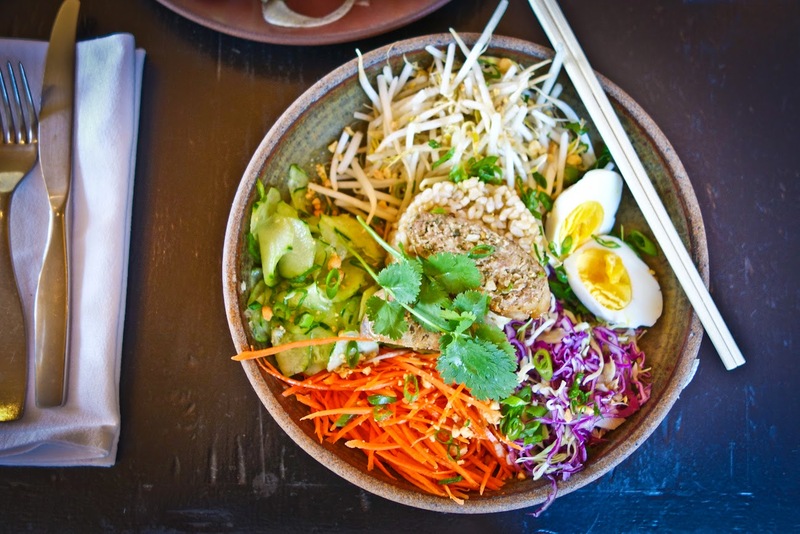 For a heartier meal with more options there is a self-service Cafe on the lower level of the Restaurant/Cafe building and has indoor and outdoor dining areas. 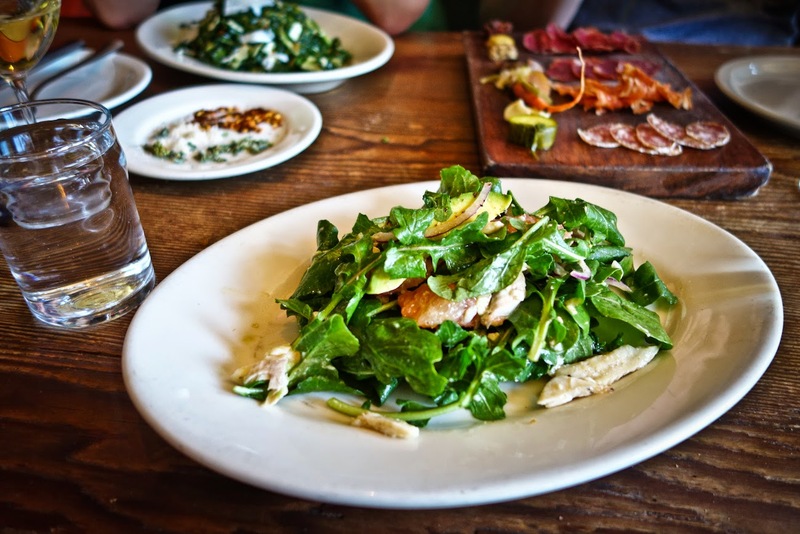 If you have more time and want to splurge a little while visiting the museum, the center has an excellent restaurant located in the Restaurant/Cafe building. 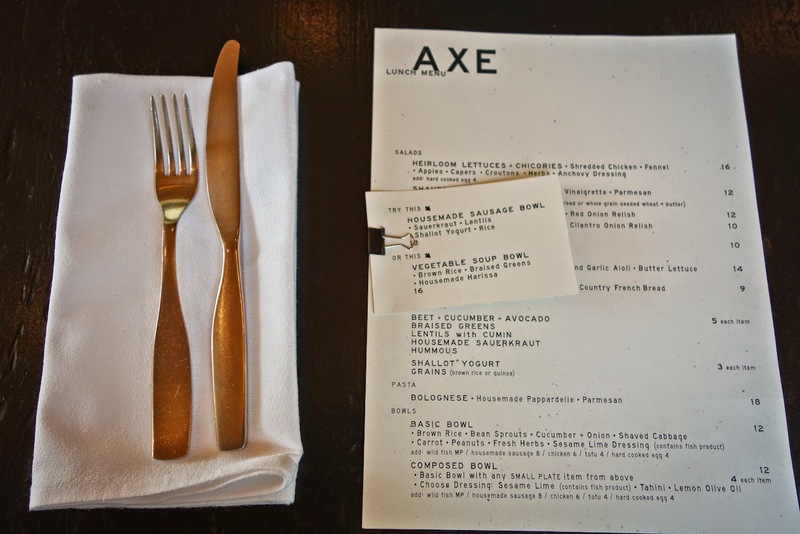 The restaurant offers a full service elegant setting with views of the Santa Monica Mountains. Reservations are recommended and you can get same-day reservations either at the door of the restaurant, the Museum information desk or you can call (310) 440-6810. For a light bite there are two coffee carts at the museum which offer coffee, hot tea, espresso, drinks, bottled beverages, baked goods as well as hot and cold food options. 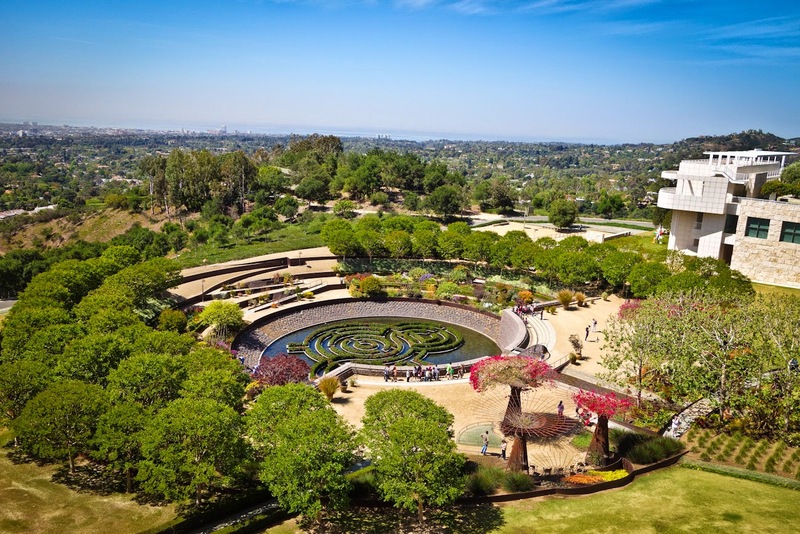 Another spectacular work of art at the Getty Center is its 134,000-square-foot Central Garden. Created by artist Robert Irwin, he is quoted as saying that the Central Garden "is a sculpture in the form of a garden, which aims to be art." Water plays a significant role in Irwin's work of art and there is a fountain near the restaurant which flows toward the garden and appears to fall into a grotto on the north garden wall. The resulting stream then flows down the hillside into the azalea pool. The designers placed rocks and boulders of varying size in the stream bed to vary the sounds from the flowing water. A tree-lined stream descends to a plaza, while the walkway criss-crosses the stream, which continues through the plaza, and goes over a stone waterfall into a round pool. A maze of azaleas floats in the pool, around which is a series of specialty gardens. More than 500 varieties of plant material are used for the Central Garden, but the selection is "always changing, never twice the same". There are wonderful events that take place between the Exhibitions Pavilion and the Rotunda such as concerts, family activities and food evens. Make sure to check the events calendar to see what may be going on during or after museum hours (adult exhibition related lectures, the Family Festival, Friday Flights, the Saturday's off the 405 concert series are my personal favorite). 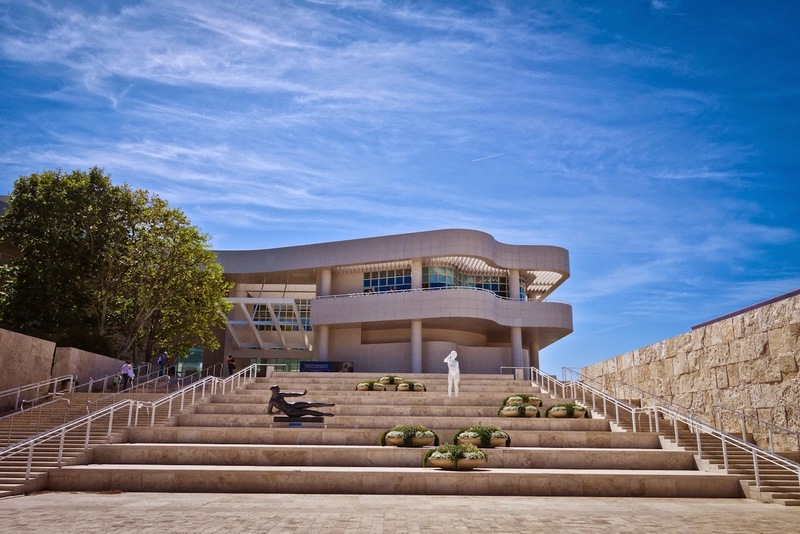 Whether you come for the art, a special exhibition, the food or just to marvel at the architecture (or catch some rays) the J. Paul Getty Museum Center is a wonderful and worth while way to spend a lovely day in Los Angeles. 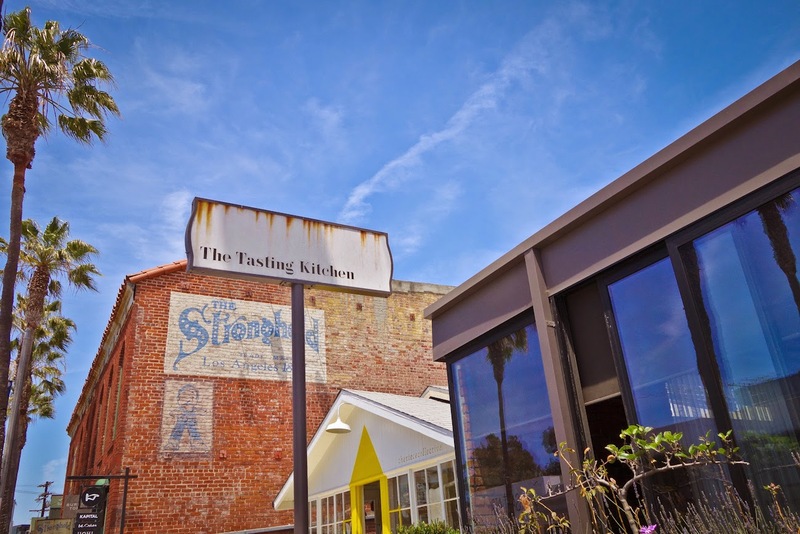 For years Venice was made up of salt water coastal marshlands before it was transformed by the tobacco tycoon Abbot Kinney in the early 1900’s. Part of his project was to re-create these marshlands into the “Venice of America". His goal was to evoke an old world charm by modeling the city after Venice, Italy. 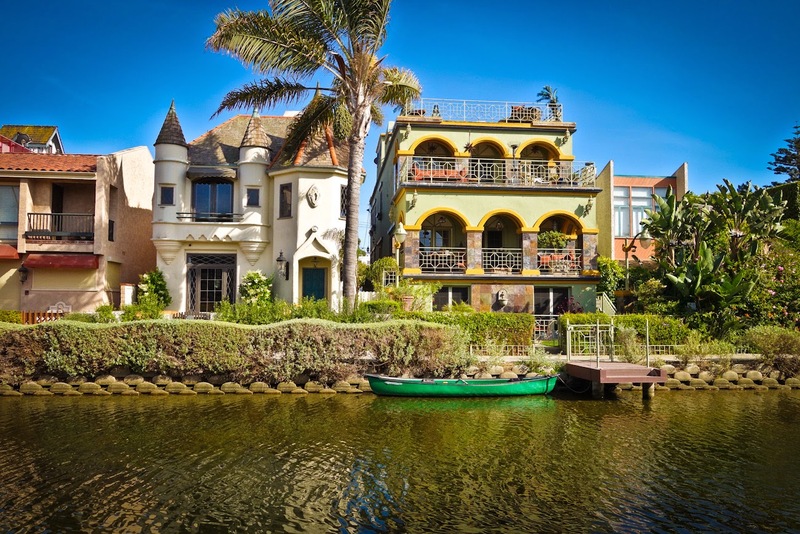 In 1905 Kinney launched his “Venice of America Project” and the canals were part of a grand scale plan to create Venice as a Sea Side attraction including a “pleasure” pier and a Venetian architecturally inspired colonnade walkway (parts still exist on Winward). When the canals were first open, visitors could visit and tour the canals in gondolas. 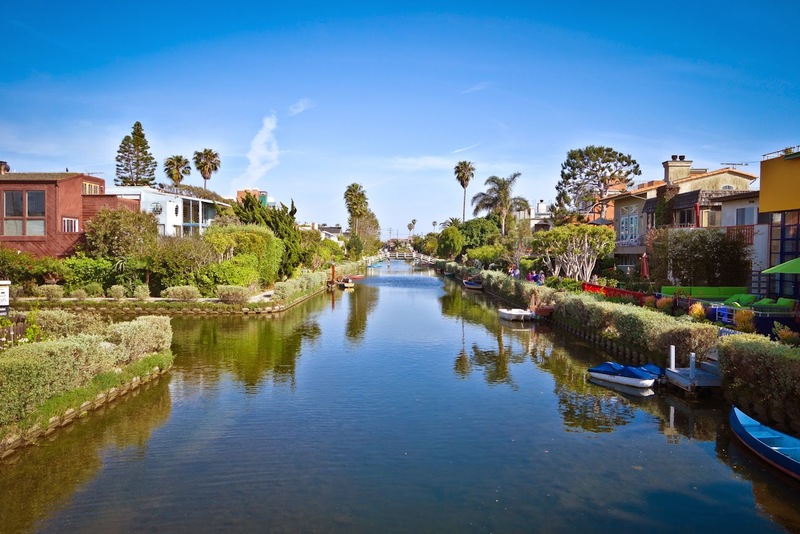 Because the automobile was still not readily available, Abbot Kinney laid out the canals to be pedestrian friendly. In the late 1920’s the city decided it needed more paved roads so most of the canals were filled in to create new streets. 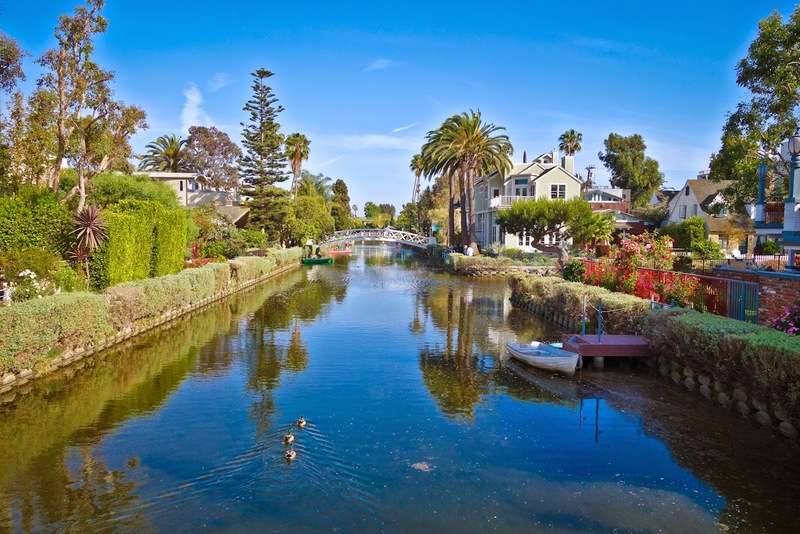 Today we can still see six remaining water ways which we now know as the Venice Canals. We cannot access the canals by gondola anymore but because of the pedestrian friendly foot ways, one can stroll through the canals. 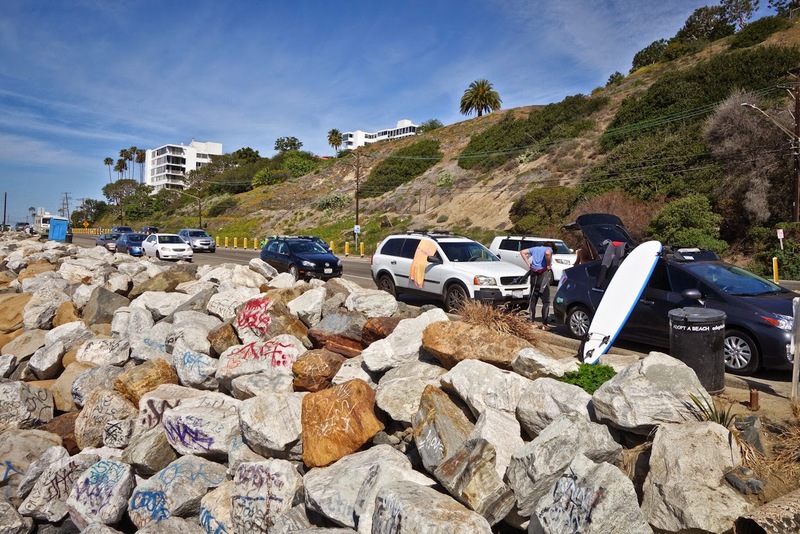 When I lived in Venice Beach, this was one of my favorite ways to walk to the beach. 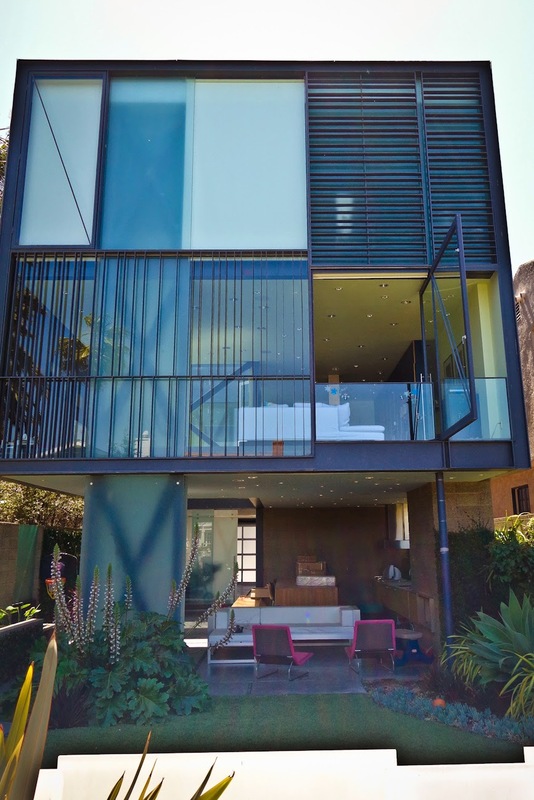 Whether it's mid-century or a take on many centuries ago, there are different architectural styles for everyone's taste. 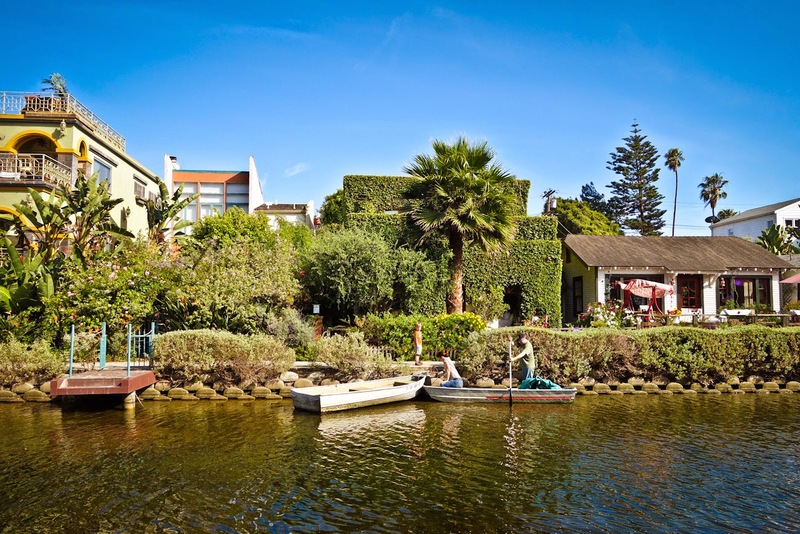 Lined with eclectic homes ranging from storybook-like to giant modern marvels, it’s a wonderful place to visit and a Venice Beach must-see. Avoid biking in this area as the foot bridges and walkways are narrow! You can begin your walk at 25th avenue and Pacific. The canals are roughly bounded by Eastern Court on the east, Court A on the south, Strongs Drive on the west, and Court E on the north. There are four east-west canals (Carroll Canal, Linnie Canal, Howland Canal, and Sherman Canal) and two north-south canals (Eastern Canal and Grand Canal). Busiest on the weekends but still tranquil and beautiful! 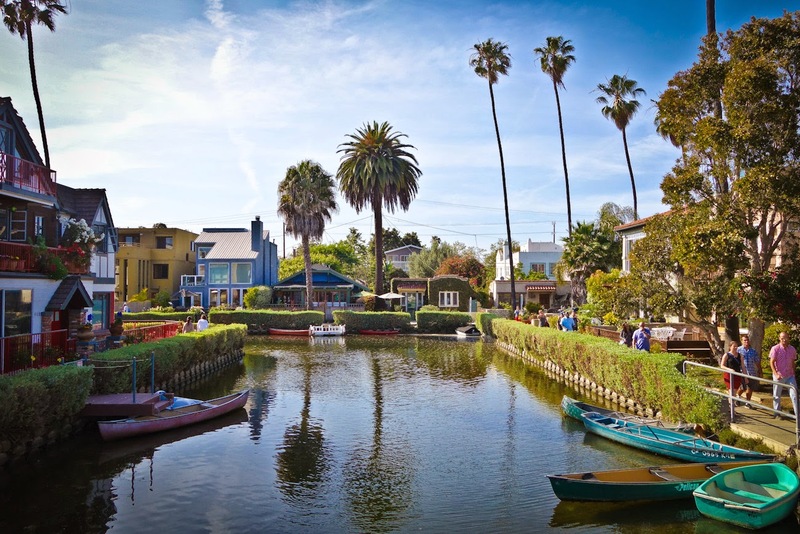 An afternoon stroll along the canals-a great Venice Beach activity! 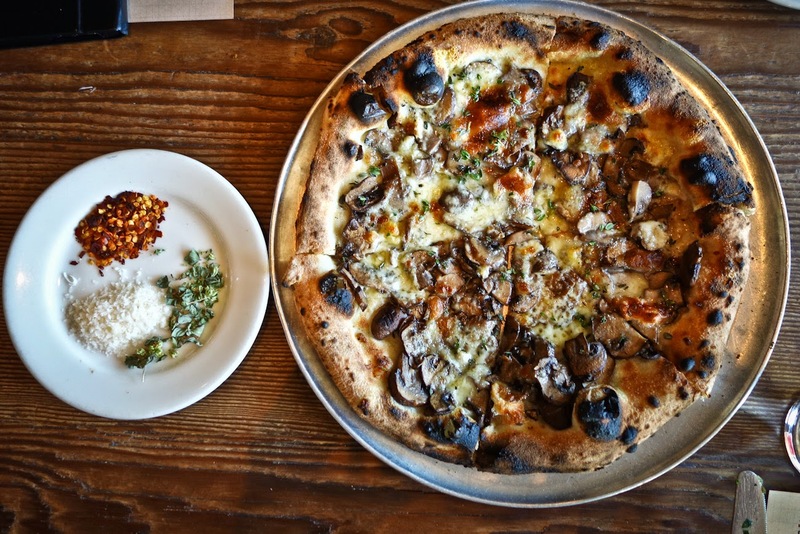 Whether you are from Venice Italy or a native Californian, one can appreciate what Kinney set out to achieve. 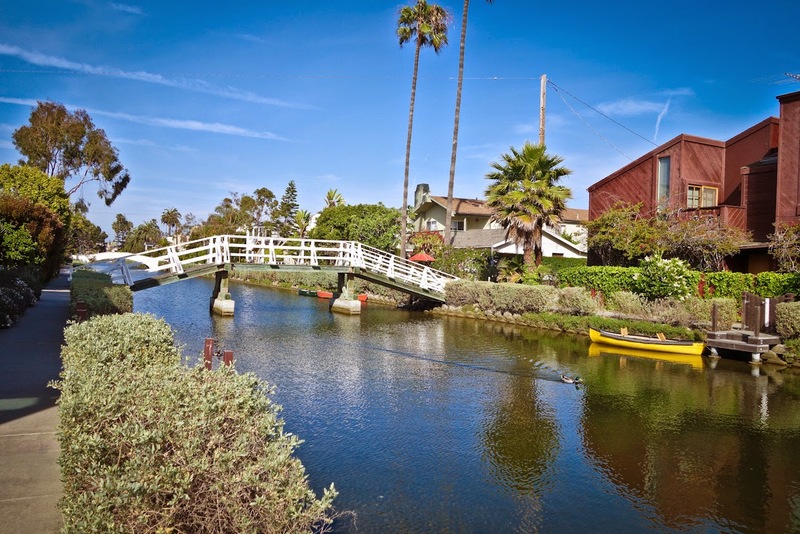 The Venice Canals of Los Angeles are a beautiful gift Kinney has left for us all to enjoy and marvel. 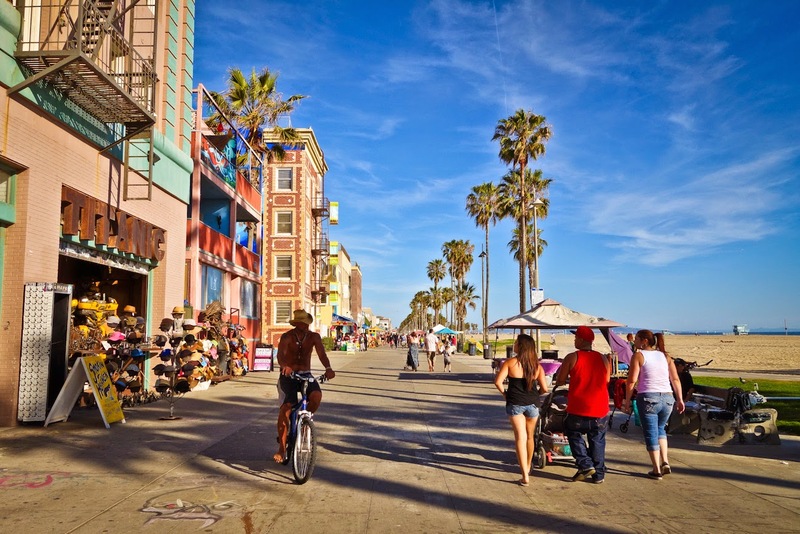 Venice California - a beach front neighborhood located between Santa Monica California and Marina del Rey – was once marshlands before it was founded as a sea side resort town in the late 1890’s. 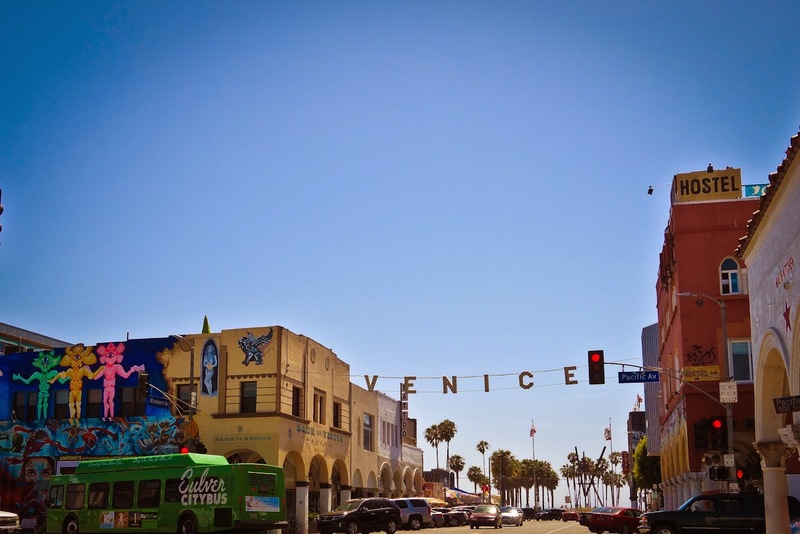 Abbot Kinney’s intention for Venice in 1905, was to create the “Coney Island of the Pacific”. Since then, Venice has gone through a series of extreme transformations. But despite all it's different forms, Venice has managed to maintain elements of each of these periods thus creating the patchwork eclectic community it is today. Having lived in Venice for 6 years, there are so many components that make this place special for me. 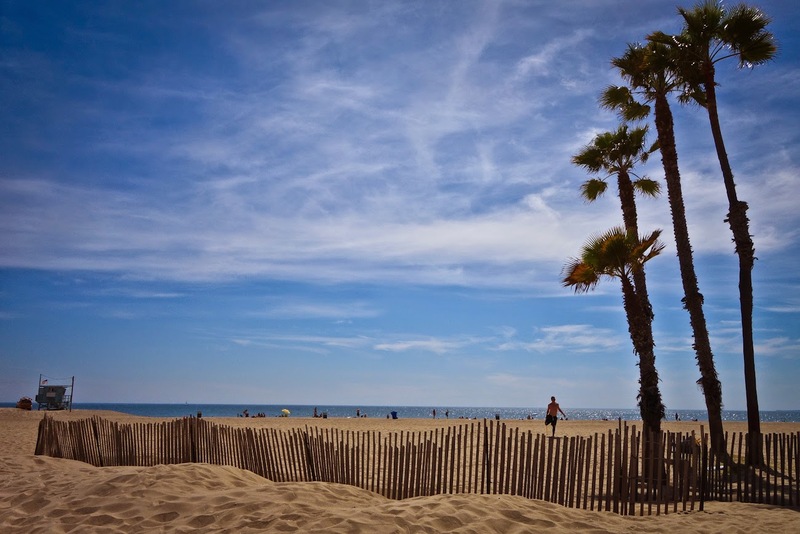 One of the main draws is the long stretch of sandy beaches. There is a reason why 16,000,000 people flock to the beaches of Venice a year. 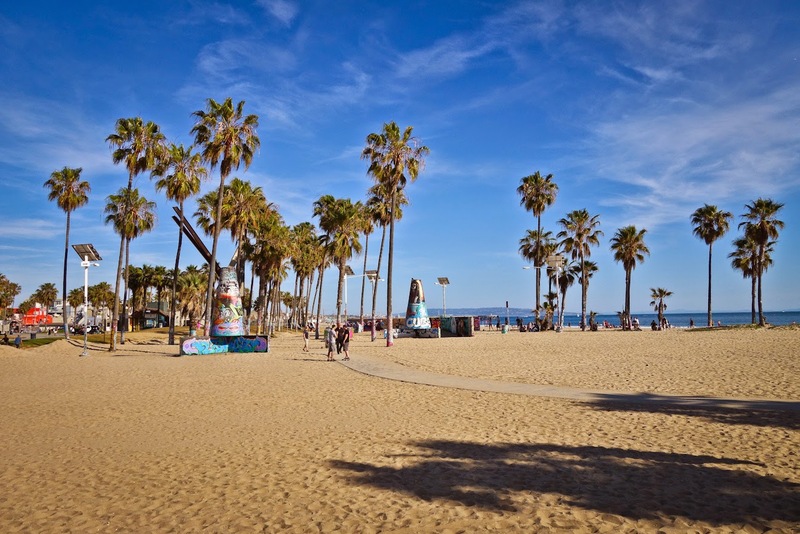 The three-mile stretch of sand is sandwiched between the Pacific and the Venice Ocean Front Walk (aka the “boardwalk”) making this beach experience unique. Whether you want to surf the world famous Venice Breakwater, (a favorite local surf spot), see if White men can’t jump at the outdoor basketball courts lining the beach, compare your strength at "muscle beach", get your fortune told by a card reader then visit the “Kush doctor” on the boardwalk or just catch some rays -Venice beach has something for everyone. 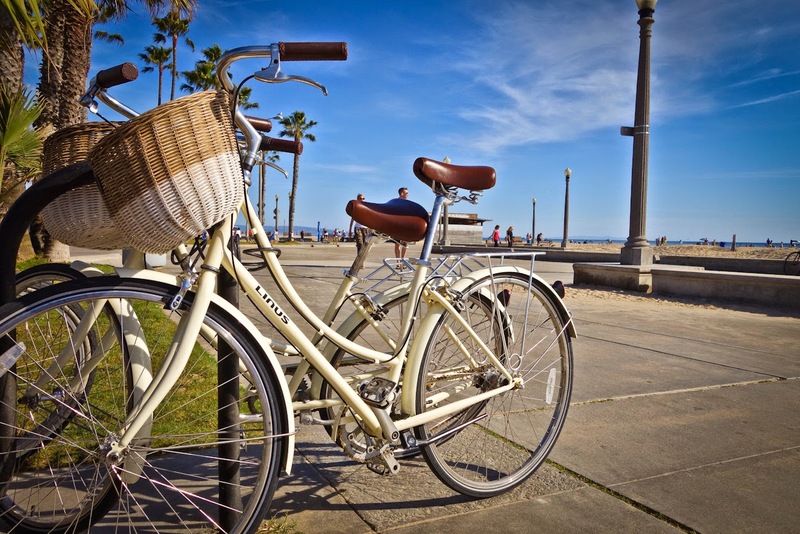 Best way to cruise around Venice beach are on Linus Bikes! Hands down the best way to experience the beaches of Venice are on wheels (and I don't mean your car!). 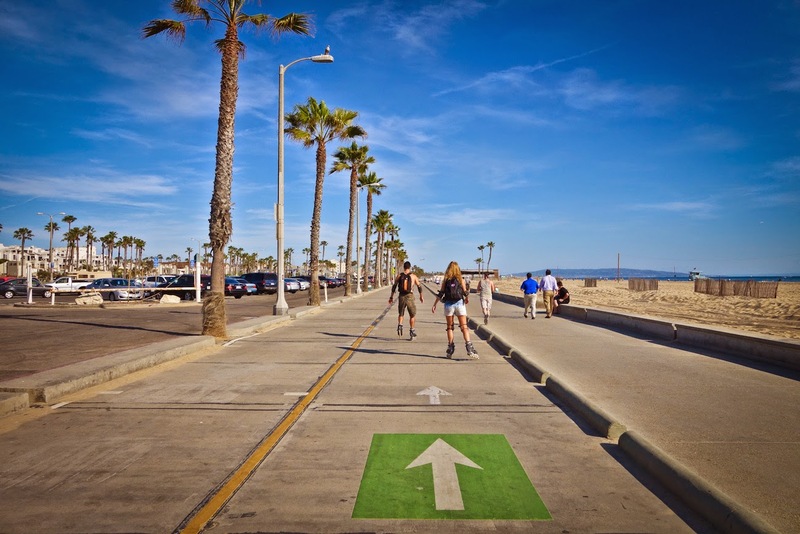 Adjacent to the “boardwalk” is a bike path that is about 8.5 miles (13.7 km) that allows you to access different points of the beach (and eliminates the stress of parking!). 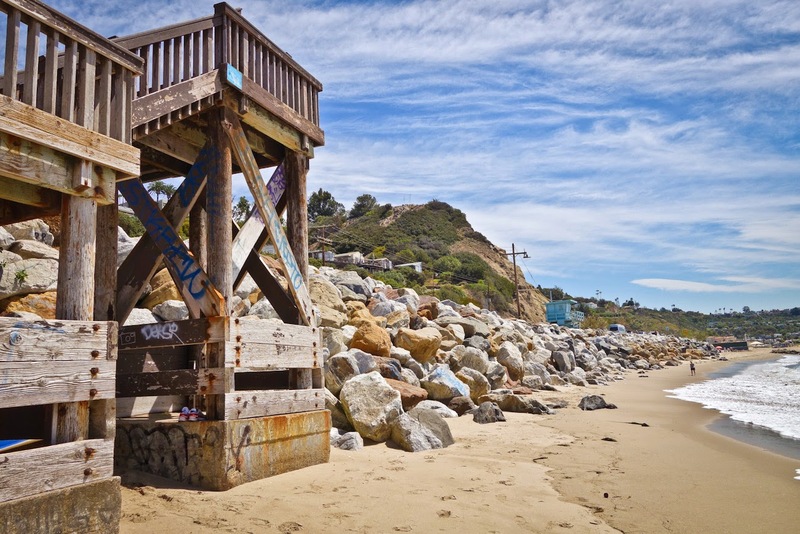 The path begins at Will Rogers State beach (in the Pacific Palisades) and continues southbound along the beach passing through Santa Monica State Beach (goes underneath Santa Monica Pier) to Washington Blvd. in Venice Beach. Along the "boardwalk" there are several places to rent bikes in case you don't have one. You can rent bikes by the hour or you can rent them for a day (renting a beach cruiser for a day cost between $20-30 dollars). On the bike path you will see cyclists, roller bladders, unicyclists, segway’s, scooters, skateboarders and other interesting modes of getting around. Along the bike path you will encounter every walk of life and there are several activities so you can pop off and visit what interests you. There is also a pedestrian walking path in between the sand and bike path-something for all! 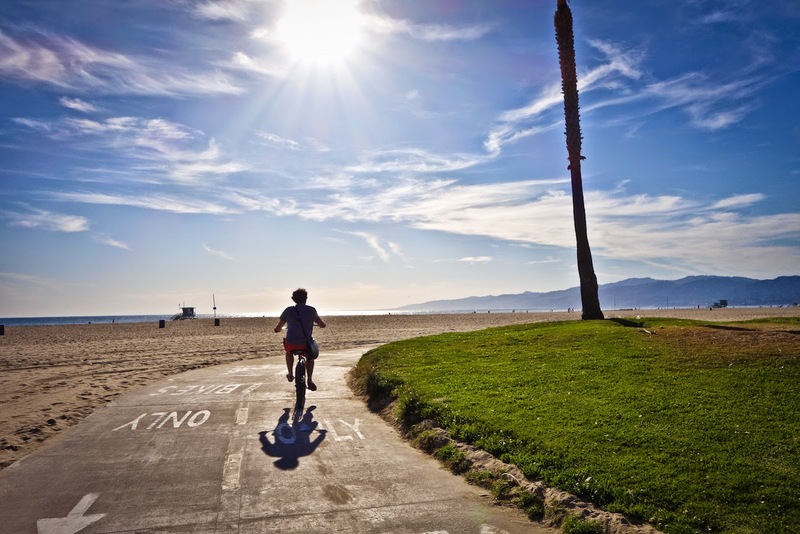 If you happen to be biking along the path on Saturday or Sunday (usually from noon until sunset), you will be sure to hear the rhythmic heartbeat of Venice - the drum circle. This free ritual is not everyone’s cup of tea however the improvisational jam session attracts hundreds of people to play their congas, drums, and shakers while others dance and chant. If you want to check out the drum circle (or avoid it all together), the gathering usually takes place on the sand where Brooks avenue meets the “boardwalk”. 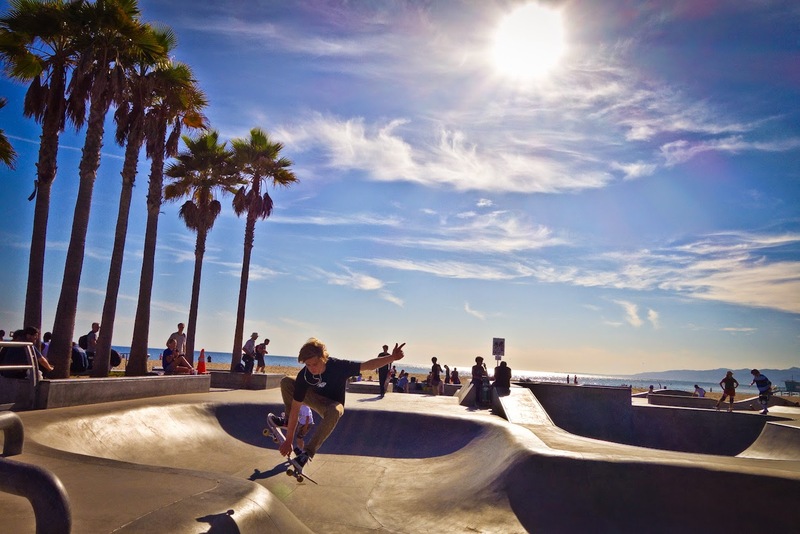 Also along the bike path is the $2-million Venice Beach Skate-park. Even if you are not a skateboarder, this is a great place to watch both kids and adults show off their skating talents. 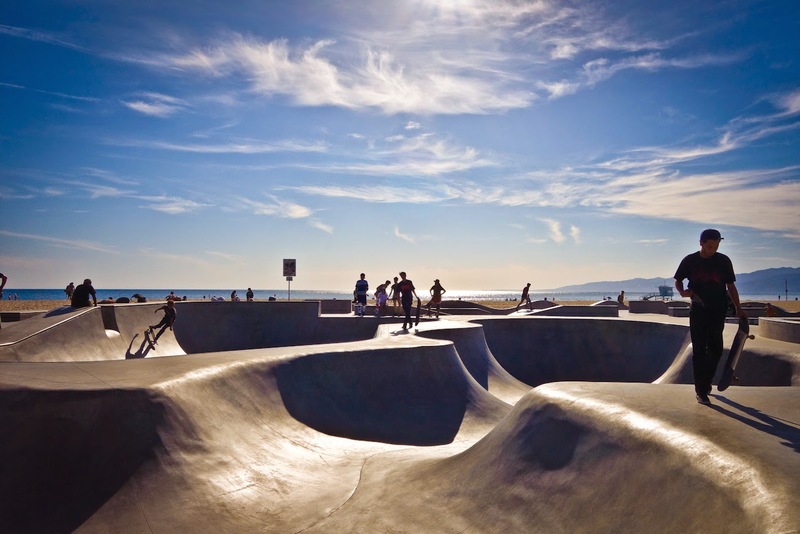 Located on the sand near Winward and the “boardwalk”, the 16,000 square foot concrete bowl was designed to pay homage to the empty Venice and Santa Monica swimming pools of the 1970’s (where the legendary Z-boys would skate revolutionizing skateboarding). 3. Lifeguard tower 26 closest to Santa Monica (technically Santa Monica). 1. 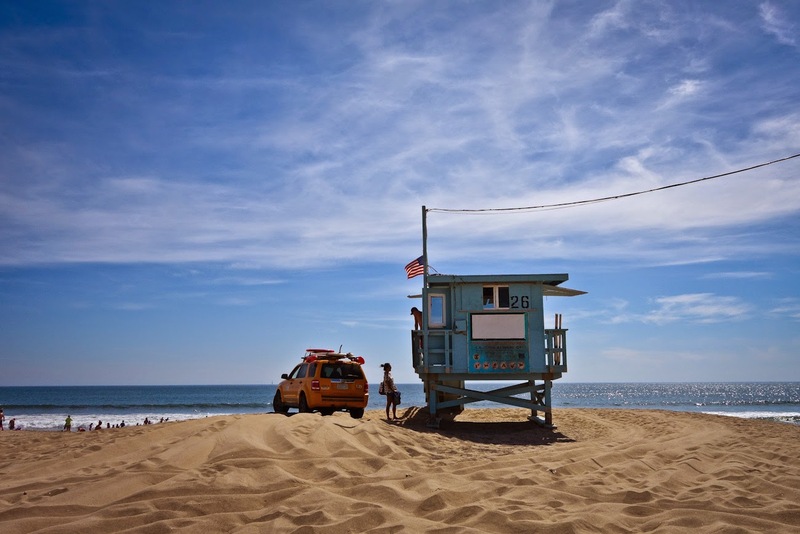 Lifeguard tower 26th Avenue is where I usually meet friends when back in Venice. This is where most Venice locals lay their beach towel. Because beach parking is scarcer in this area, most people access this part of the beach by bicycle. This section of the beach is not populated by many tourists and the vibe is very chilled out. There are a series of volleyball nets and the surf is also very good in this area (Washington pier) making this location a great place to post up and hang out all day. 2. Rose Avenue can be quite touristy as its right off of the “colorful” section of the Venice boardwalk, but it’s also a great place for catching some sun and people watching. 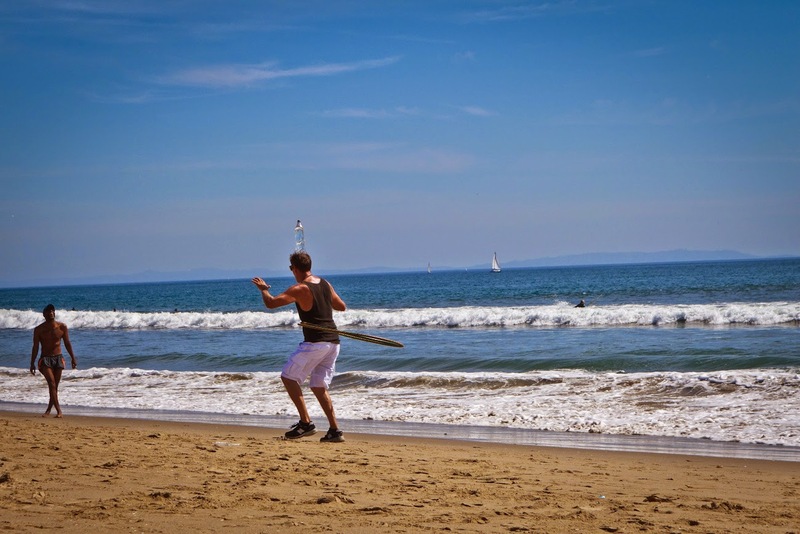 At Rose Avenue beach, you never know what you will see. Even after spending years on this part of the sand, I still see or witness something (or someone) that surprises me. 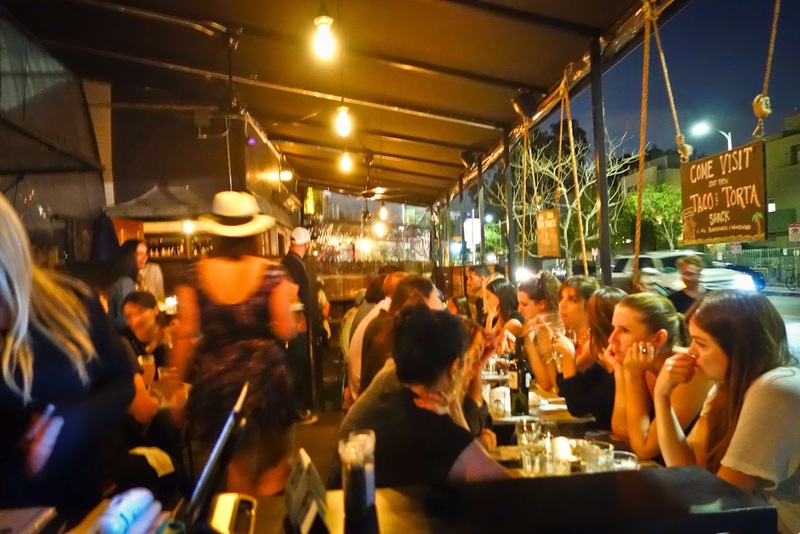 In case you want to escape from the sun, this beach spot is close to many beach bars, shops and places to eat; including a super great beach bar called Venice Ale House (also serves great food). Wow- look at that core strengthening! 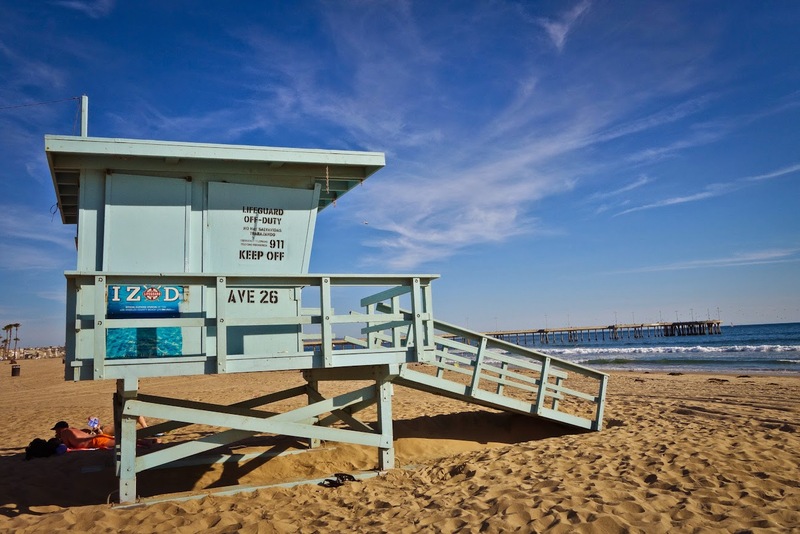 Lifeguard tower 26 towards Santa Monica is another favorite. A great place for family and kids (and typically this part of the beach is made up of just that) lifeguard tower 26 feels very wholesome (especially compared to Rose Ave). Just across the sand from this beach spot is a little open air beach café (one of 9 along the bike path) that serves food and drinks called Perry’s at the beach. 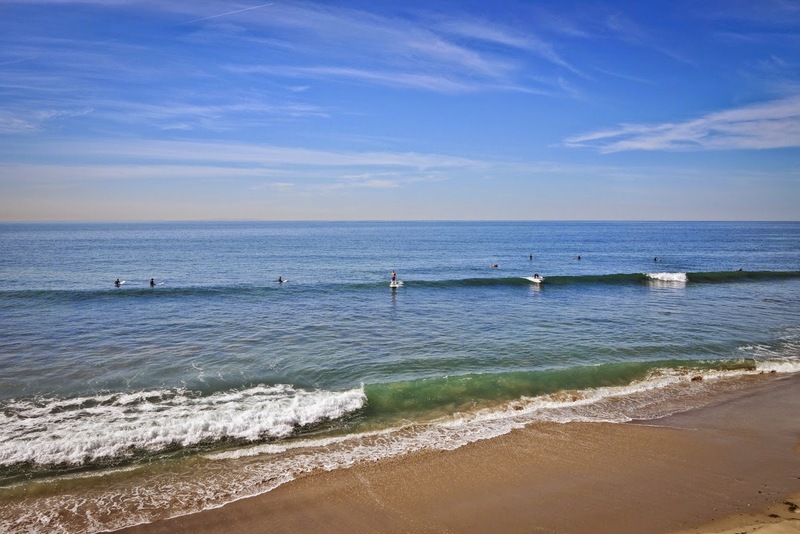 At Perry’s café, you can also rent bicycles, roller blades, paddle boards and surf boards. View from Perry's at the beach! 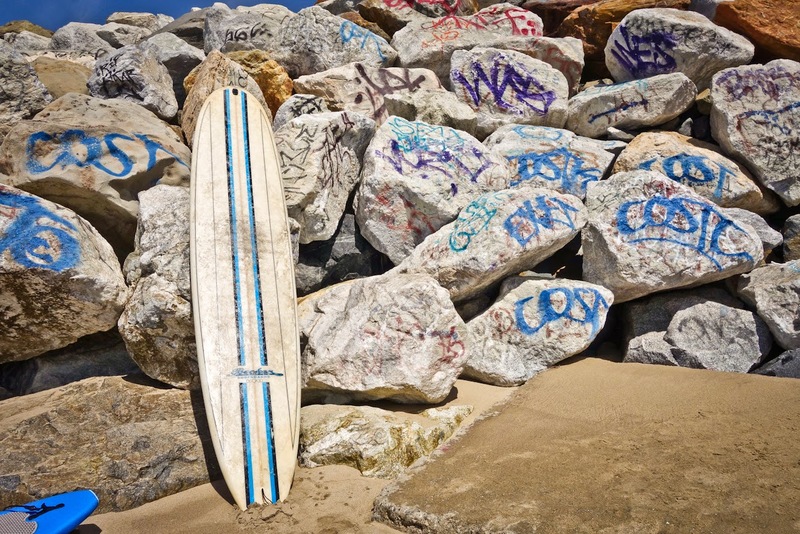 So no matter what you decide to do at one of the many beach spots in Venice, there is nothing like spending a day there and cruising along the coast to feel the good California vibrations.